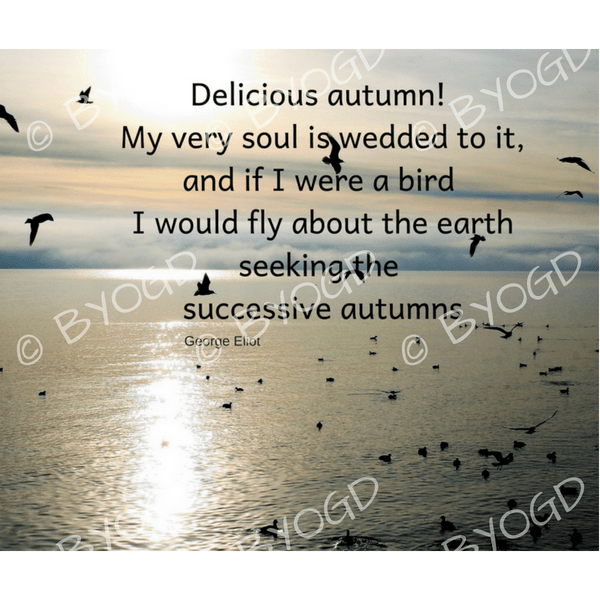 Quote image 180: Delicious autumn! My very soul is wedded to it, and if I were a bird I would fly about the earth seeking the successive autumns - George Eliot. Motivational, inspirational royalty and copyright free posts for your own social media, Facebook, Twitter, Pinterest, Instagram.